In tomorrow's world where the edges blur between addictive virtual reality and real life, would you hurt your daughter if it was the only way to set her free? When gaming junkie Silver doesn't make it home on the eve of her sixteenth birthday, Kate and Keke go out to find her. It's a treacherous journey navigating a city in the midst of a flash civil war. Shrouded in electrosmog and panic, it's been taken over by vigilante bot hunters as a violent AI uprising puts everyone Kate loves in danger, especially Mally and his anthrobot girlfriend. Suicide Agent Zack's in trouble. After a charade of a trial he's sentenced to hard labour at SkyRest, the most controversial penal labour colony in the country. He's shocked by what he finds there, deep underground, but the more he resists it, the more they brainbleach him into submission. If he doesn't find his way, he'll never be able to tell Kate what he needs to tell her. Which is a problem, because it's the whole reason he exists. 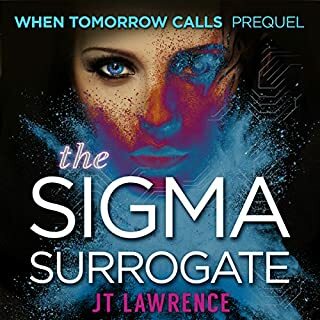 With the Doomsday Prophecy looming large, Kate discovers there are forces at play she'd never guess at, and much more at stake than just her or her children's lives. What she'll need to do to keep everyone safe will stretch her beyond every hard limit. Will Kate play the game? Cyberpunk meets the robopocalypse on the edge of litRPG in this dark dystopian thriller. Jack in and get ready for a headsplosion with this third book in the riveting series When Tomorrow Calls. Ready? Your next addiction starts now. This is the third installment on the When Tomorrow Comes series. Zack, who had something important to tell Kate at the end of the previous book, is sent to prison, where he spends twelve years, and where this book picks up. Kate lives a normalish life along her children, who are almost grownups now. Silver is a game junkie to the point that it worries Kate, and Mally has a robot girlfriend. One day, Silver doesn't come back home, and it seems all machines are rebelling against humanity. After absolutely loving books one and two I NEEDED to listen to this one. It goes into a quite different direction than the previous ones, but it was somehow expected since it picks up the story twelve years later. The world building is again amazing, with vivid descriptions and details that make me want to be there just to see it all. Cyberpunk is one of my favorite genres, but J.T. Lawrence takes it to the next level. There were many surprises in this book, which I found totally mind-blowing. It was one of those books that I couldn't put down. Where Lawrence really excels is at incredible character development. All her characters are absolutely alive, with their imperfections and quirks. Even when they take the wrong choices it's easy to relate to them, suffer with them. I think this is why I find all her books really appealing, in a way that it seems she is directly talking to me. Roshina Ratnan did again a wonderful job narrating the story and bringing the characters to life. She delivered great character interpretations. The only setback is that some characters sounded quite similar, which made some dialogs a bit confusing. For the rest, she did a beautiful job, and I think she was perfect for this series. 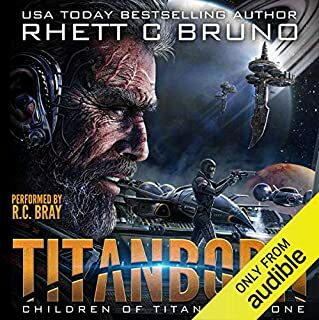 I LOVED this series, and would recommend it not only to people into cyberpunk, but also to anyone who would like to read a good story with great characters. J.T. 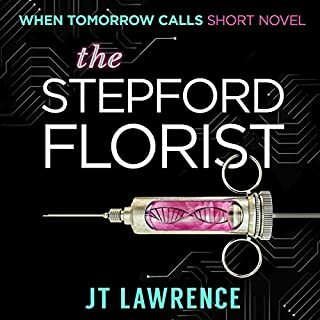 Lawrence has become one of my favorite authors, and I will read anything she decides to delight us with. Lots of action as the world spins out of control and the characters struggle to save their loved ones. Did not see that ending coming. Oh my! A rainbow crack version of LSD. 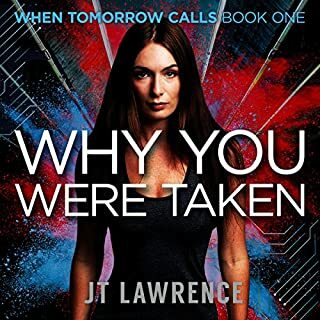 It had been several months and a lot of books in between since this reader finished the second of the Tomorrow Calls trilogy and it was hard, initially, to re engage with Kate, Seth and friends. But once entered into their world, it became that old-but-true cliche, unputdownable. It is close to the eve of Silva's 16th birthday, a day predicted to be the end of days And it seems that this might possibly come true as news reports start to come in of a robot rebellion, machines turning on, and killing, humans. Even their beloved dog, Chaser, after twelve loyal years, had attacked Mally and had to be shot. Outside on the streets there was chaos, anger and fear as people fought back, killing and hunting indiscriminately. Then Silva went missing. Meanwhile, Zack had spent the past twelve years imprisonment. 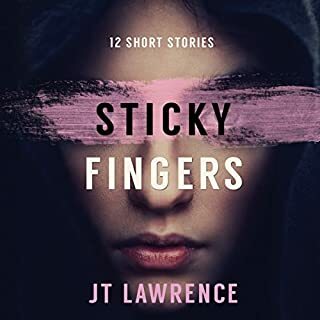 With superb imagery, author J.T.Lawrence moves between protagonists and passed time until all are finally brought together for the grand finale. This futuristic thriller, set in South Africa, is well written, the characters filled with life and emotion, the action fast and electric and plunges the reader into the heart of this dystopian world. The narrator is, once again, Roshina Ratnam, whose reading is clear, with good intonation and her voicing of the individual characters is well differentiated. Her text readings, initially, are somewhat depessing, with a down turn at the end of each sentence in the early stages but either this altered as the work progressed or else this reader simply blocked them out with familiarity and total involvement in the story. It was not a major problem, however, merely a slight distraction. As mentioned in a previous review, the timbre of her speech leans towards little girlie, which fits the story well. 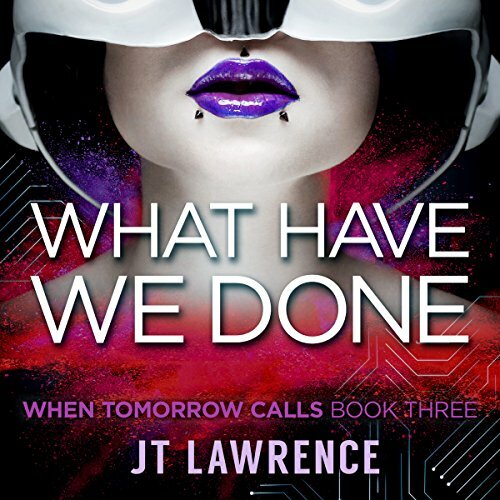 This has been an excellent and innovative series overall, with this book, What have we done? the best of the three. Although it could be read as a stand alone novel, it is far more satisfying as the conclusion of the trilogy. Recommended.